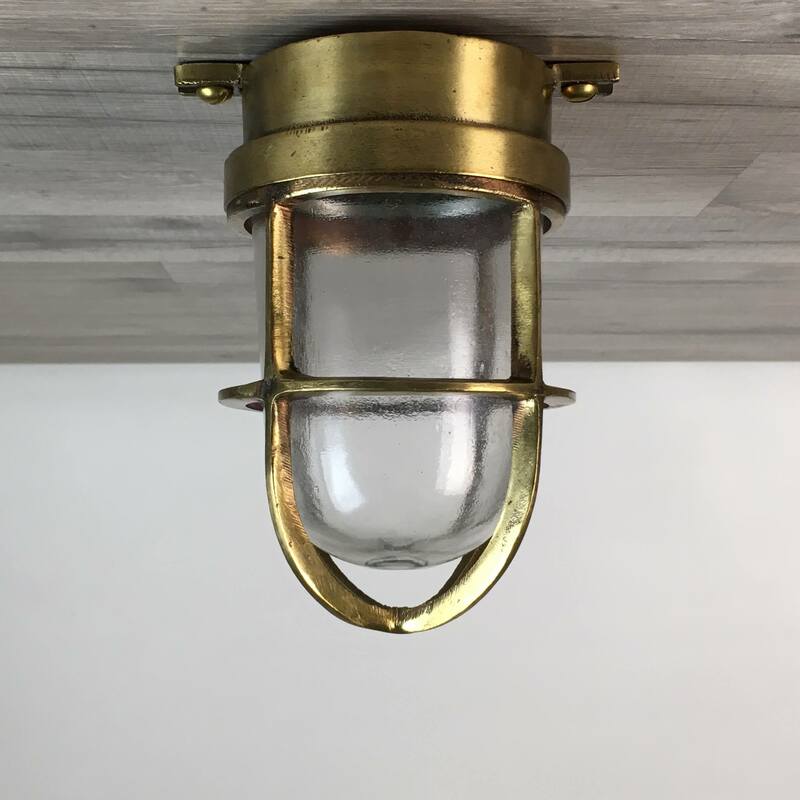 Vintage Brass Ship Ceiling Light - We Have Hundreds Of Lights! This nautical ceiling light with measures about 7 1/2 inches tall x about 4 3/4 inches at the widest. On the top of the light there are 3 mount lugs that will require a mounting space about 4 1/2 inches wide. We’ve installed copper caps in the old conduit holes on the back. This light weighs just under 3 pounds. This light has been rewired with all new UL-Listed parts that are rated to work with any voltage under 250 volts. The bulb socket takes a normal screw in house bulb of 60 watts or less. 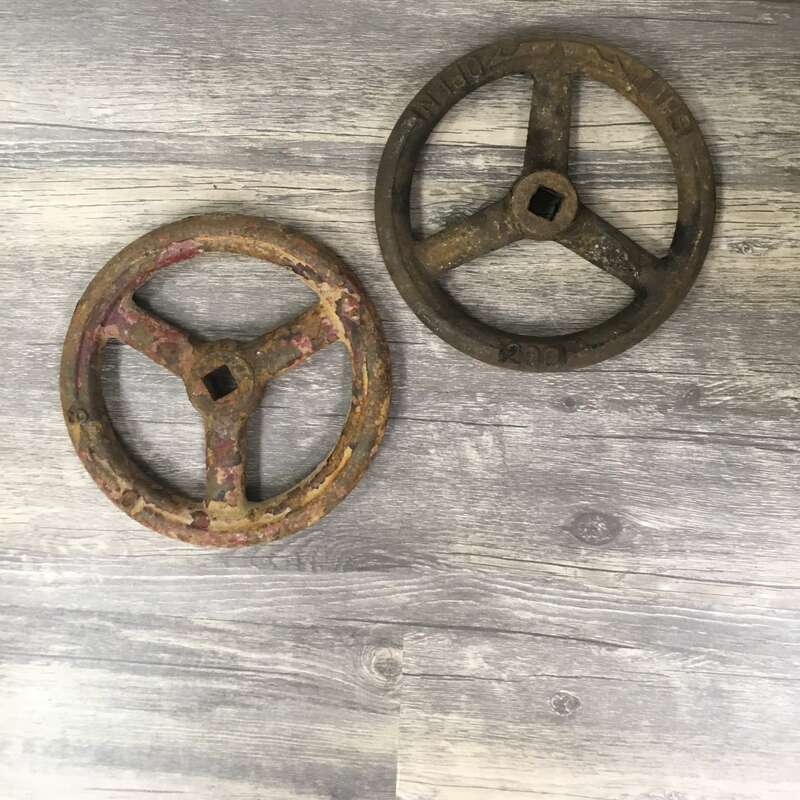 You will be shipped the vintage brass ship ceiling light shown in the photos.